News flash: There is a huge sale happening right at the moment at many online retail stores, and Lazada is one of them! For someone who loathes crowded shopping malls, Lazada is a great site for me as it’s reliable with its secure payment gateway, and it always offers great discounts for most of the items. Better yet, I can shop in my comfortable Tshirt knowing that the delivery will be almost instantaneous (usually next day or day after). 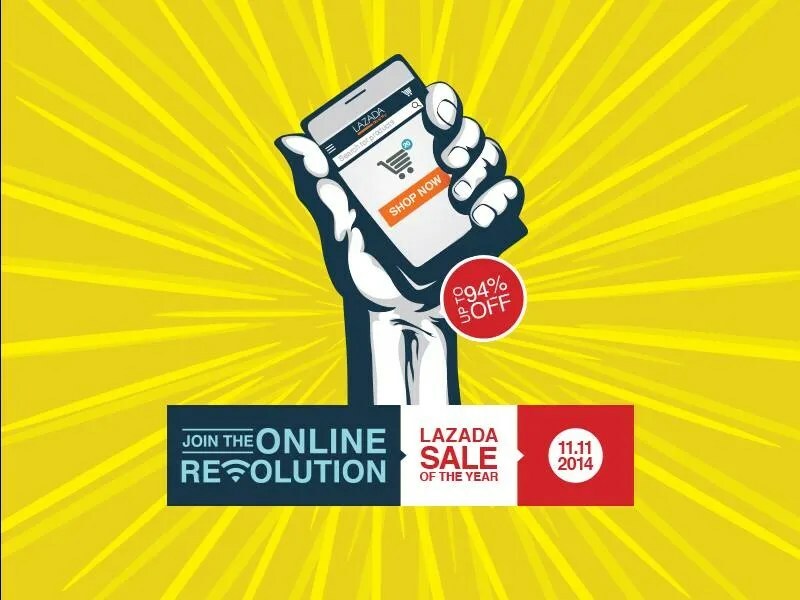 Lazada shakes up the online marketplace with their “Online Revolution” – the biggest sale of the year in Southeast Asia, starting on 11 November 2014, which will see Lazada offering shoppers a month of sales, discounts and promotions with all the best deals at one site! Expect a wide range of products on offer, from mobiles, tablets and consumer electronics to fashion, household goods, toys, and sports equipment. Lazada also makes shopping easy and safe by providing a fast, intuitive and secure online shopping experience. If you prefer shopping from your mobile, you can also do so with the Lazada smartphone app. For added convenience and peace of mind, Lazada offers the widest reach of delivery and cash-on-delivery service, so shoppers from all over Malaysia can buy now and pay only on arrival. Citibank customers within the Klang Valley may also shop online using their Citipoints. Visit Lazada (www.lazada.com.my) on 11 November 0214 as the Online Revolution launches with a day of mega sales featuring a flash sale every hour from 11.00am to 11.00pm, with discounts up to 82% off the hourly-promoted product. That’s not all as Lazada will also be giving away 3 pairs of Air Asia flight tickets to the top 3 spenders on 11 November 2014. The lucky winners may choose to fly to Koh Samui, Bandung, or Cambodia for free. Bargain hunters can also visit Lamido (www.lamido.com.my), Lazada Group’s C-to-C online marketplace, for other deals. Lamido is a buy and sell platform, empowering merchants and consumers with an easy way to conduct safe transactions.